Scanning electron micrograph of a fragment of surface of diatom cell. 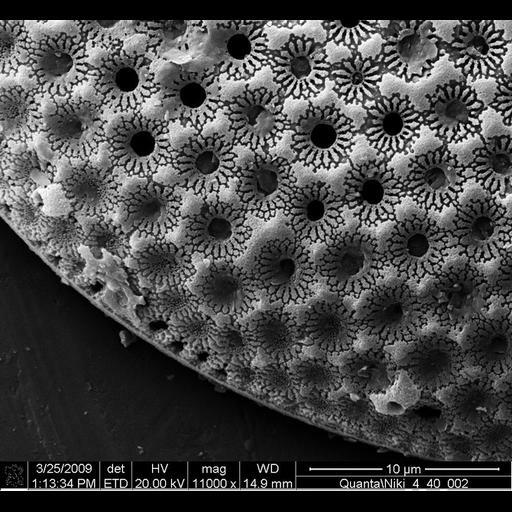 Diatoms have a silica cell wall also called a frustule that has regularly repeating features. Image collected on a FEI instrument: Quanta Family using Magnification: 11000 x, Voltage: 20 kv, Detector: ETD , and Working Distance: 14.9 mm.